Full sun to shade. [15" tall]. USDA Hardiness Zones 4-9. 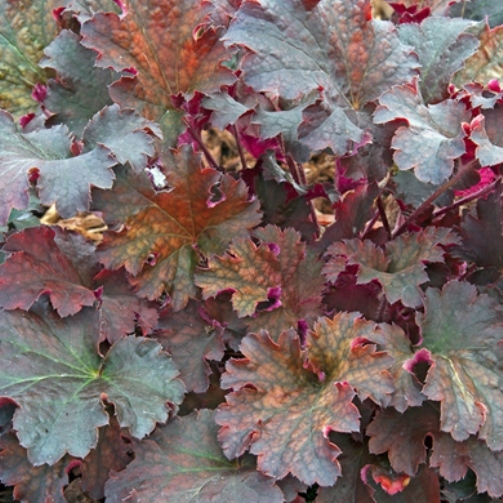 Heuchera 'Prince of Orange' features fancy ruffled leaves in shades of orange to brown. Pink flowers early to mid season.